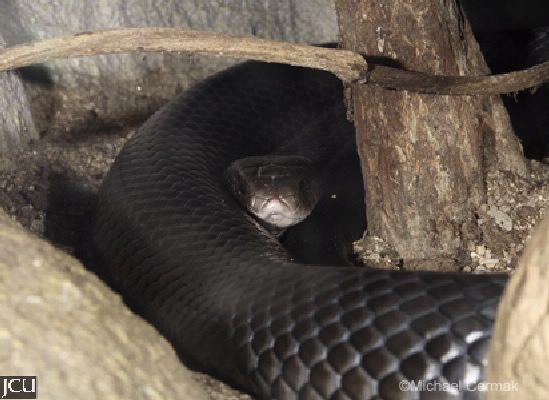 This dangerous snake can often be seen sunning itself on rainforest tracks in spring. This animal chiefly preys on frogs, reptiles and other small animals. The distinctive feature is the glossy, iridescent body contrasting with the scales on the lower flanks and belly being red and edged with black. The red colouring can sometimes be quite pale. The underside of the tail is black.